NQS is an External Quality Assessment method using proficiency testing schemes. These are interlaboratory comparisons organized regulary to assess the performance of analytical laboratories and the competence of the analytical personnel. NQS is developed by Nobis Labordiagnostica having 20 years of experience in offering solutions for medical laboratories. Our rich history of being a distributor of External Quality Assessment with schemes organized according to ISO 17043 provisions helped us to become one of the market leaders in Romania and build a considerable presence in the international market as well. We aim at providing quality services that exceed the expectations of our esteemed customers. Our goal is to provide high quality services for medical laboratories, that can be the base in assuring the reliability for their analysis. Combining our external quality schemes with a good internal control, the laboratory can reach the total quality, that is the core principle of a trustworthy result for its patients. 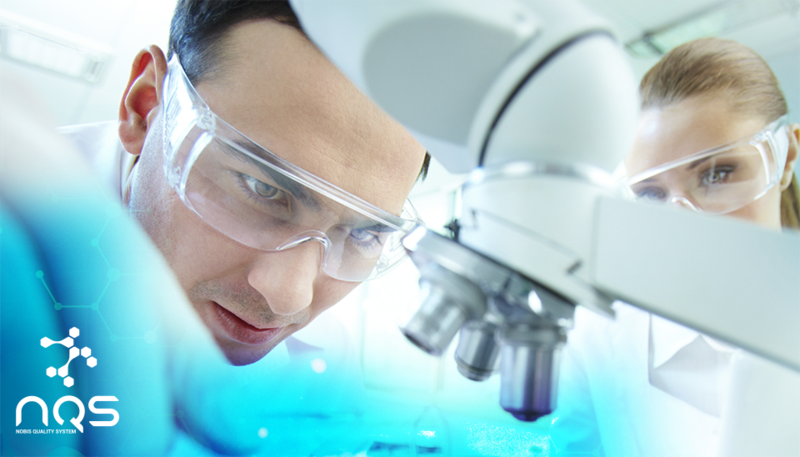 NQS provides a full solution to medical laboratories both in the public and private spheres. It offers a convenient solution for labs with ISO 15189:2013 accreditation – among others – that are obliged to participate in quality assessment programs. How does NQS work? After receiving the samples, we test them, submit the results, analyze those and report to the laboratory. We are constantly looking for distributors. Join our network now!